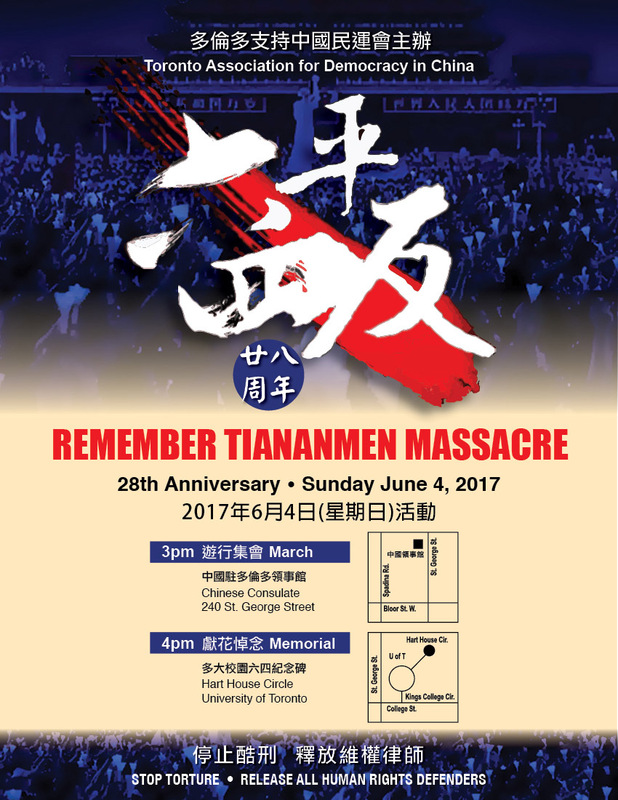 With this year’s June 4th soon upon us, TADC has prepared a series of events to commemorate the 30th anniversary of the Tiananmen Massacre in 1989. 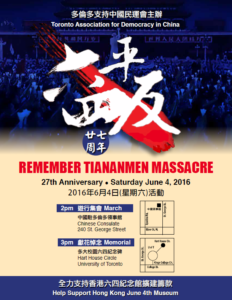 As always, our theme continues to be “Never Forget June 4” and “Democracy in China”. 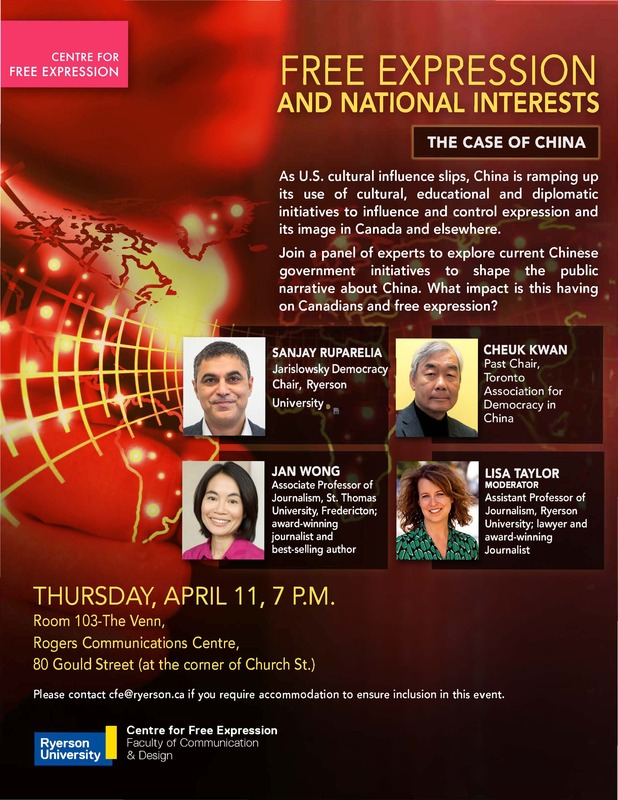 Particularly, we also want to expose the invasion and influence of “China Model” into Canada. 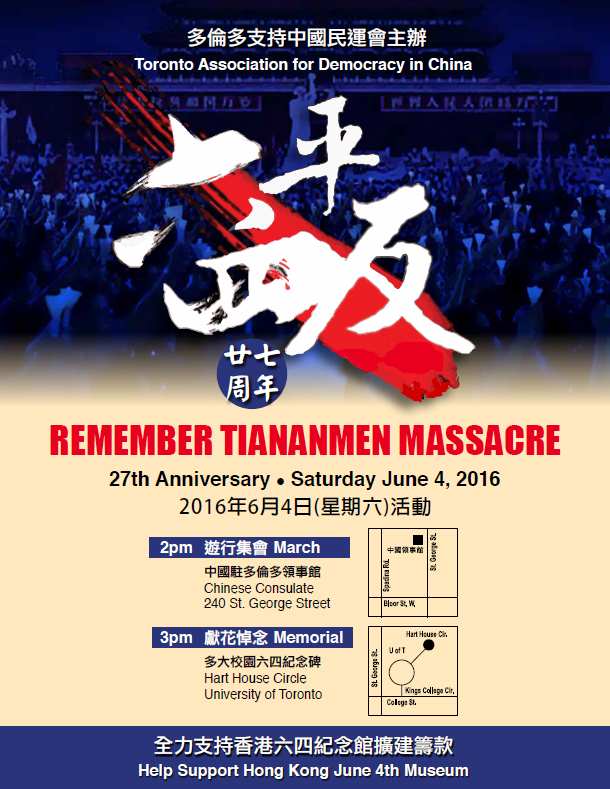 Vindicate the 1989 Tiananmen movement! 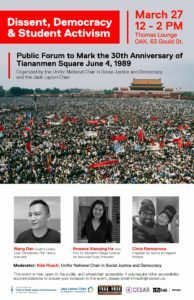 Free Liu Xia! Remember Liu Xiaobo! 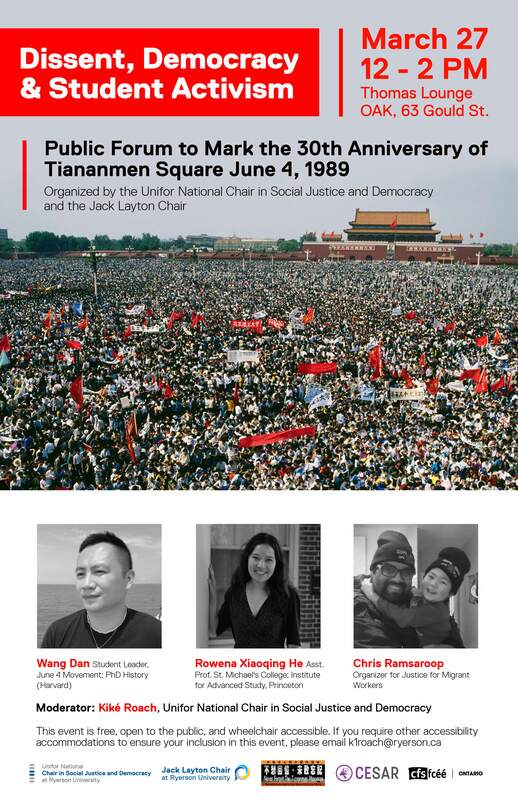 Please wear black shirts to support the politically prosecuted in HK. We shall not forget them! Please help pass this message to your friends. 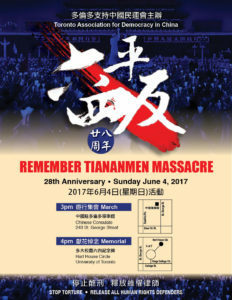 On behalf of the Toronto Association for Democracy in China, we join the world in mourning the death of Liu Xiao Bo. 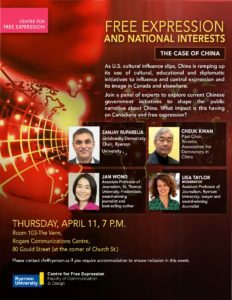 And we join the world in condemning the Chinese government. 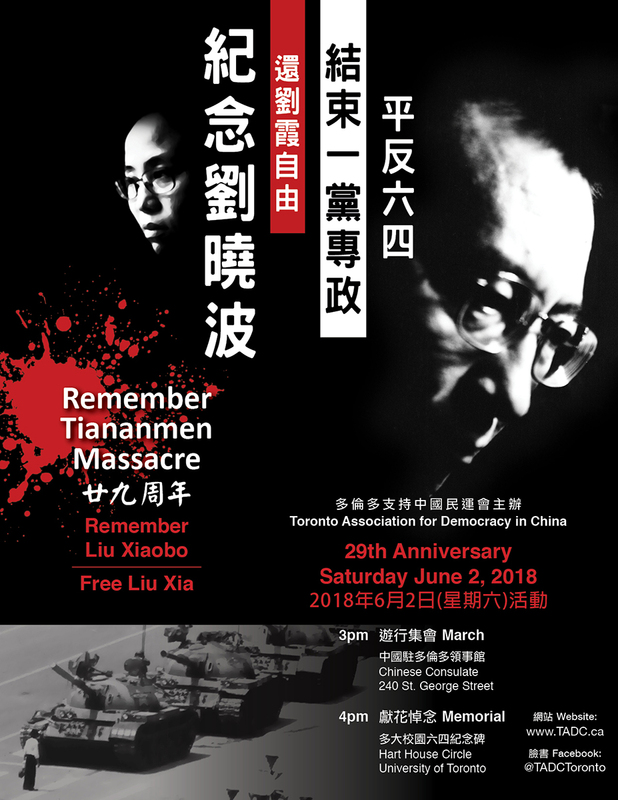 CHKL, TADC and FDC will co-host a candlelight vigil for Liu Xiaobo in front of the Chinese Consulate in Toronto, 240 St. George Street.